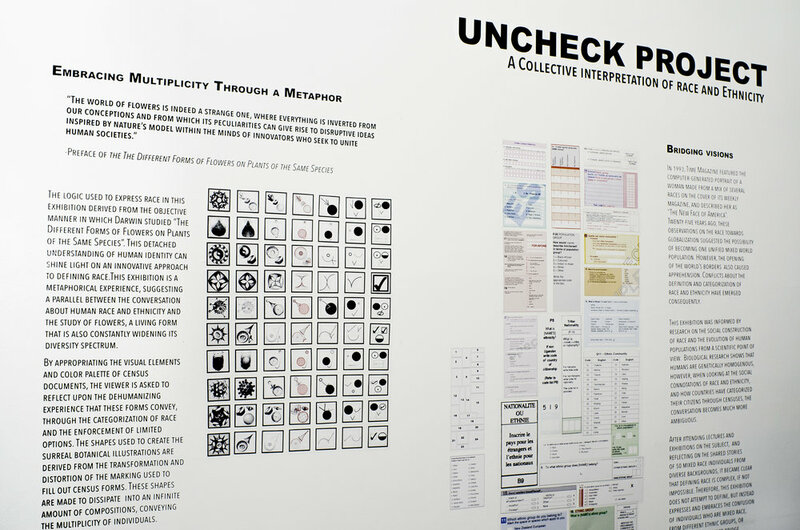 By exploring the perspectives of mixed-race/multicultural individuals, Uncheck Project is an art and design exhibition that invites viewers to study and reflect on the multiple connotations of race and ethnicity. This exhibition aims to use fashion and art as tools to bridge different conceptions of race and ethnicity in relationship to the feeling of cultural belonging. Amongst the exhibited artwork, a participatory art installation titled “Uncheck Yourself” is presented, as well as three framed garments recollecting the unique experience of three mixed-race French/Cameroonian family members. 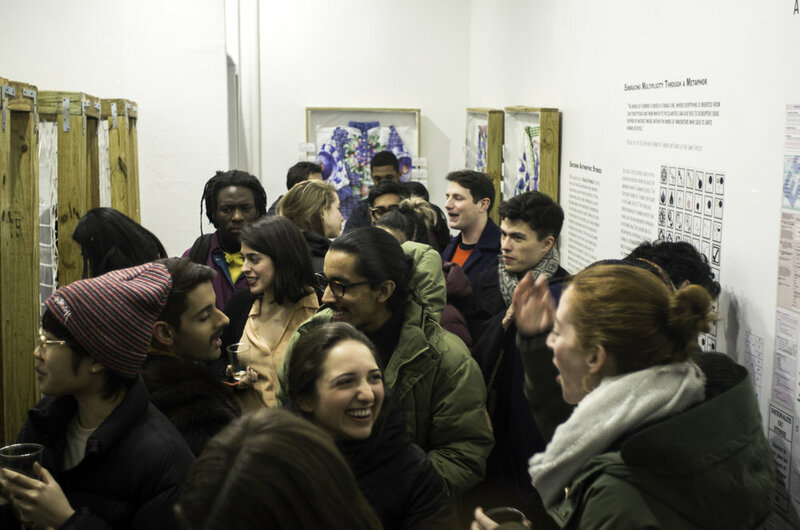 The level of engagement was high throughout the February showing, with over 90 visitors. During the opening reception, 50 guests contributed to the “Uncheck Yourself” participatory art installation and shared poignant testimonies. Visitors appreciated the mix of fashion and social justice and expressed their enthusiasm at having the opportunity to exchange constructive thoughts and ideas on the topic of experienced ethnicity. Uncheck Project allowed the LIO team to use fashion as a medium for social impact and provided a space to foster existing conversations and open new dialogues about pressing cultural topics.